German gas supplier, goldgas, is to return as sponsor for a second year. 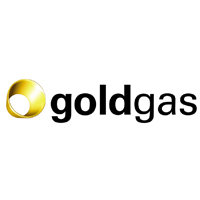 German gas supplier, goldgas, is to return for a second year to partner the two-day event, which will be played on the final weekend of May 2011 in the LANXESS arena, Cologne. The deal will see the goldgas brand presented to a global audience through LCD perimeter advertising and on-court advertising, as well as through integration of the company on the event’s official website at ehfFINAL4.com. goldgas will also be presented in the official VELUX EHF FINAL4 magazine, which will be distributed to almost 20,000 handball fans in the LANXESS arena. Additionally, goldgas will take advantage of the opportunities the VELUX EHF FINAL4 weekend offers for corporate hospitality to entertain guests and clients. The VELUX EHF FINAL4 will take place on 28 and 29 May 2011 in Cologne, Germany. The two-day event will see the top four men’s teams in Europe competing for the premier title in club handball. Over 19,500 spectators will watch the event live in the LANXESS arena and a TV audience in excess of the 44 million that followed last year’s event in Cologne is expected. goldgas is a growing, independent gas supplier in Germany and a pioneer of Liquid Natural Gas (LNG) technology. The company has more than 250,000 private and business customers in Germany, including numerous major national and international companies.